This past Saturday I had the pleasure of joining the women of the Chilliwack Hospital Auxiliary to celebrate their 100 year anniversary. Founded in May 1911, the women of the Auxiliary have baked pies, made jam, knitted, sold raffle tickets, fund-raised, forged friendships, and had fun. 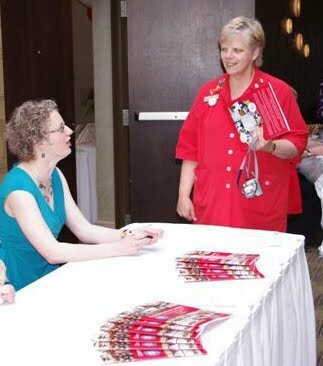 The amazing legacy of the women that came before and the dedication of the current Auxilians was evident in the Coast Chilliwack Hotel on May 14. 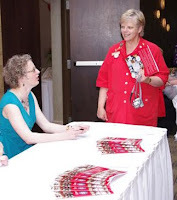 I had the wonderful opportunity to meet many of the women that I had read and written about in the book Commitment to Caring: Chilliwack Hospital Auxiliary’s 100 Years, 1911-2011. 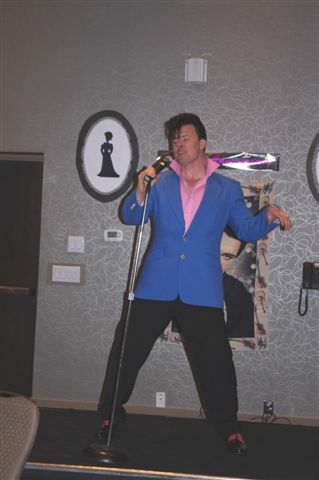 The fun was clear when 'Elvis' (Steve Elliot) hit the floor, hence the title of the post. Thank you for an enjoyable afternoon. If you have time to volunteer and live in Chilliwack - considering joining these women in their work or if you have gently used clothing, household items, books or toys please consider donating them to the Chilliwack Hospital Auxiliary Thrift Shoppe.